You were probably using G+ to sign in into your app. Maybe you were also requesting a code to authenticate your backend server too. If that's your case I have good news: you don't need them anymore. With Google Play Services 8.3 you can use Auth.GoogleSignInApi to authenticate your user (and your backend) without requesting access to her accounts or contacts. At this point a native dialog will prompt to ask the user to select an account. All your previous G+ auth flow code can be safely thrown to the bin. But defining an architecture for your application is important. 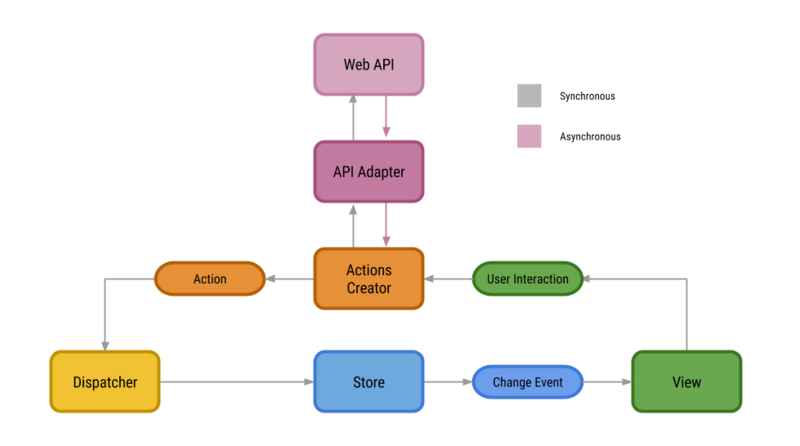 Like it or not, every application is going to have an architecture. So you'd better be the one defining it than let it just emerge. I believe Flux is very good for all of that. Monitor to network calls looking for errors. Whenever you get a 401 Not Authorised it means your AT is no longer valid. This can be accomplish with Interceptors as well, but there is a much better way: Authenticators an interface designed specifically for this purpose. When you set up an Authenticator OkHttp client will automatically ask the Authenticator for credentials when a response is 401 Not Authorised retrying last failed request with provied new credentials. You can define these transitions declarative using XML or programatically. This is something you need to setup once on your app styles.xml. To make the trick you need to give both, origin and target views, the same android:transitionName. They may have different ids or properties, but transitionName must be the same. As you can see, Transition framework is creating and executing an animation to create the illusion that the view is moving and changing shape. To proof the blue square view is not really moving we can do this quick exercise: change transitioName in DetailsActivity from Big Blue Square to the Title Text above it. Transitions happen between scenes. An scene defines a static state of our UI. You can do complex things regarding scenes but I want to keep this example as simple as possible. This will change those views width attribute to make it larger. That will trigger a layoutMeasure. At that point the Transition framework will record start and ending values and will create an animation to transition from one to another. In this example I'm going to demostrate how can you make use of Shared Element Transition and Circular Reveal Animation to smoothly switch UI context. 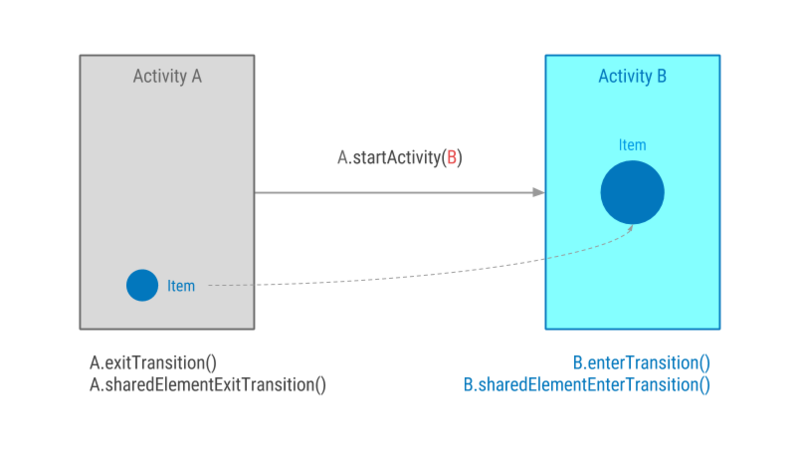 Shared orange box is transitioning from MainActivity to DetailsActivity. DetailsActivity background viewgroup visibility starts as INVISIBLE. After SharedElementEnterTransition ends a CircularReveal animation takes place making the background viewgroup visible. SharedElementReturnTransition is delayed 1 second. ReturnTransition duration is setted to 1 second. Have in mind this are two different transitions. On ReturnTransition start a CircularReveal animation takes place hiding the background viewgroup. After 1 second, CircularReveal has finished and SharedElementReturnTransition gets executed producing orange box animation. But, how does it work? Most people think by just adding new methods to our classes, saving us a quite a lot of boiler plate code. Well, it’s definitely saving us some code, but you may be surprised to discover that is not changing our classes at all. Want to find out? 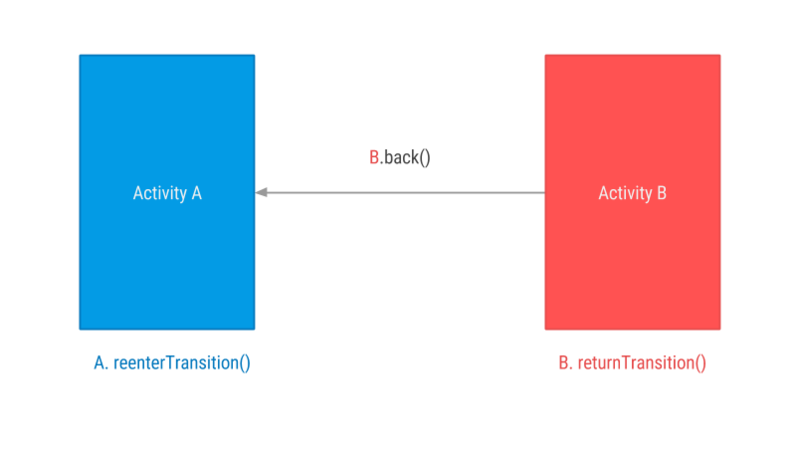 First, you need a quick overview of how annotation processing works in java. Annotation processing is a tool build in javac for scanning and processing annotations at compile time. You can define your own annotations and a custom processor to handle them. Annotations are scanned and processed at compile time. An Annotation Processor reads java code, process its annotations and generate java code in response. An Annotation Processor can not change an existing input java class. Neither adding or modifiying methods. At OpenJDK you can read an excellent overview of how Java compiler works. First, it scans all java classes looking for ButterKnife annotations: @InjectView, @OnClick, etc. 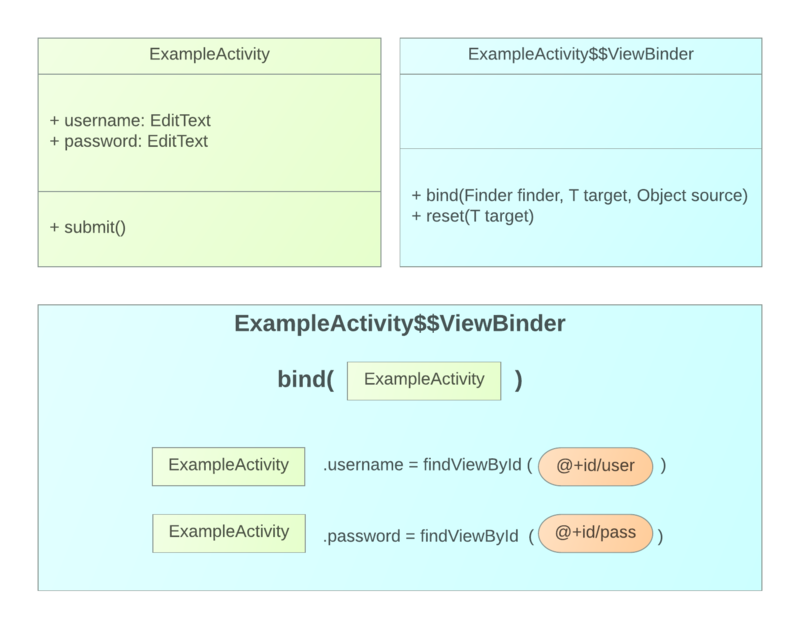 This new ViewInjector class contains all the neccessary methods to handle annotation logic: findViewById, view.setOnClickListener, etc. Finally, during execution, when we call ButterKnife.inject(this) each ViewInjector inject method is called. This is why annotated attributes and methods must be public: ButterKnife needs to be able to access them from a separate class.